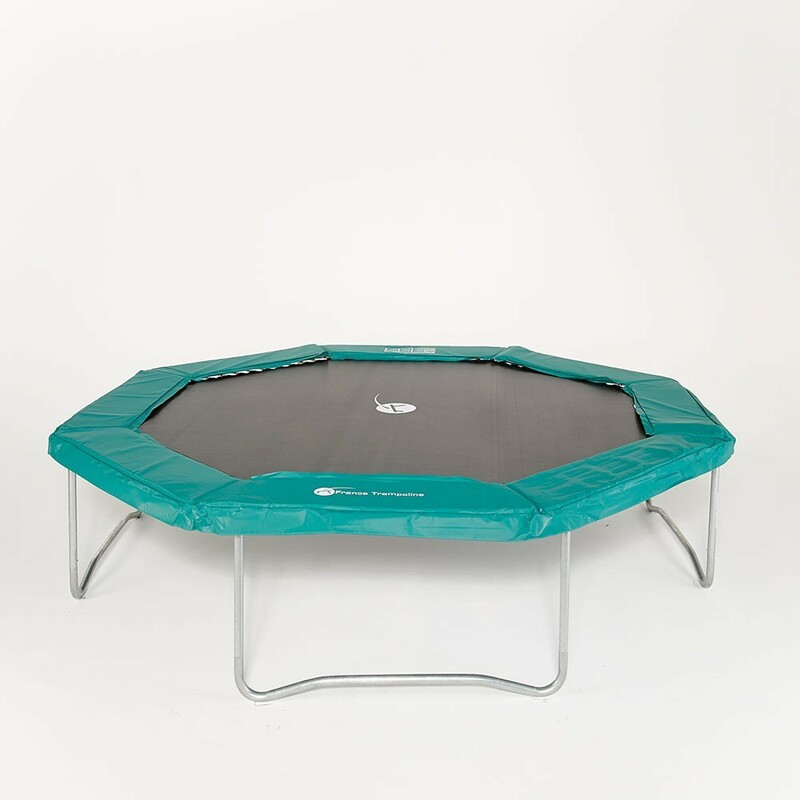 Green frame pad for octagonal 3.60 m trampoline. To ensure a high level of safety, the frame pad and the enclosure must be in good condition. The frame pad will cover the springs, and allow you to play confidently. 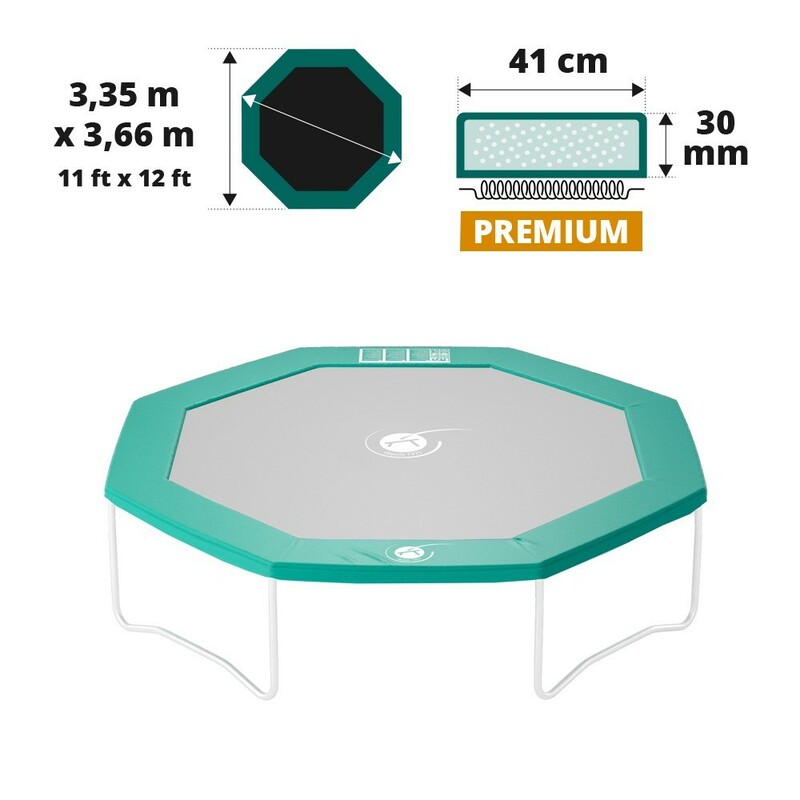 This green Premium frame pad is perfect for your octagonal trampoline of 3.60 m in diameter with springs of 230 mm in length. - This replacement frame pad was initially designed for the Waouuh 360 model but will be perfectly adapted to any other equivalent model from another brand, as long as its measurements and the length of its springs are the same. Make sure you measure the diameter of your trampoline precisely from edge to edge. 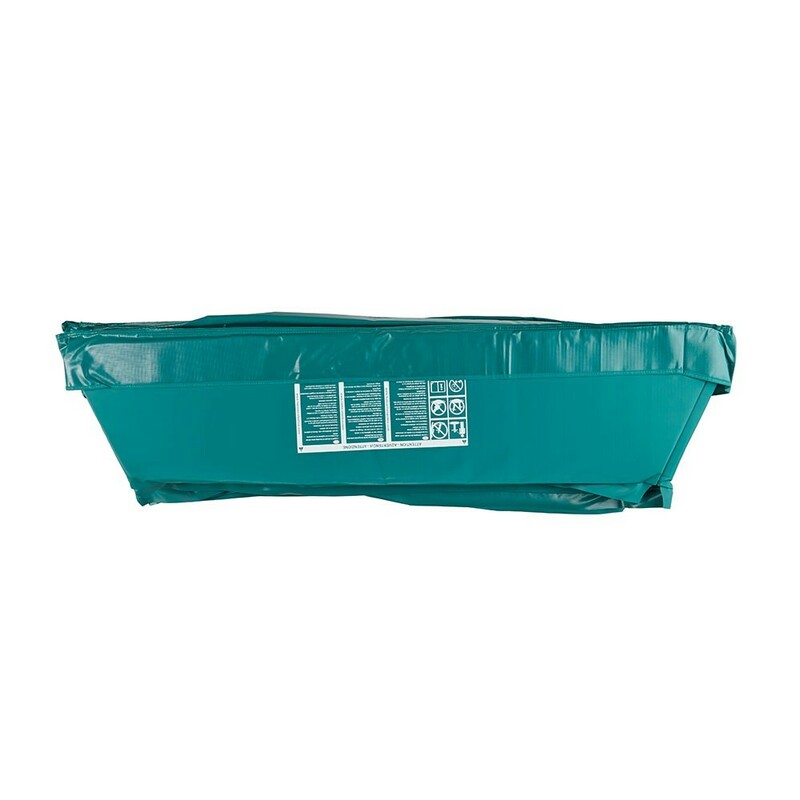 - This Premium frame pad is made from expanded polyethylene monobloc foam called EPE. It is highly resistant and is 30 mm thick for your comfort and security. It is waterproof so can remain outdoors throughout the year. - Contrary to most frame pads on the market, France Trampoline’s frame pads are made from a foam monobloc, making them more shock-resistant. 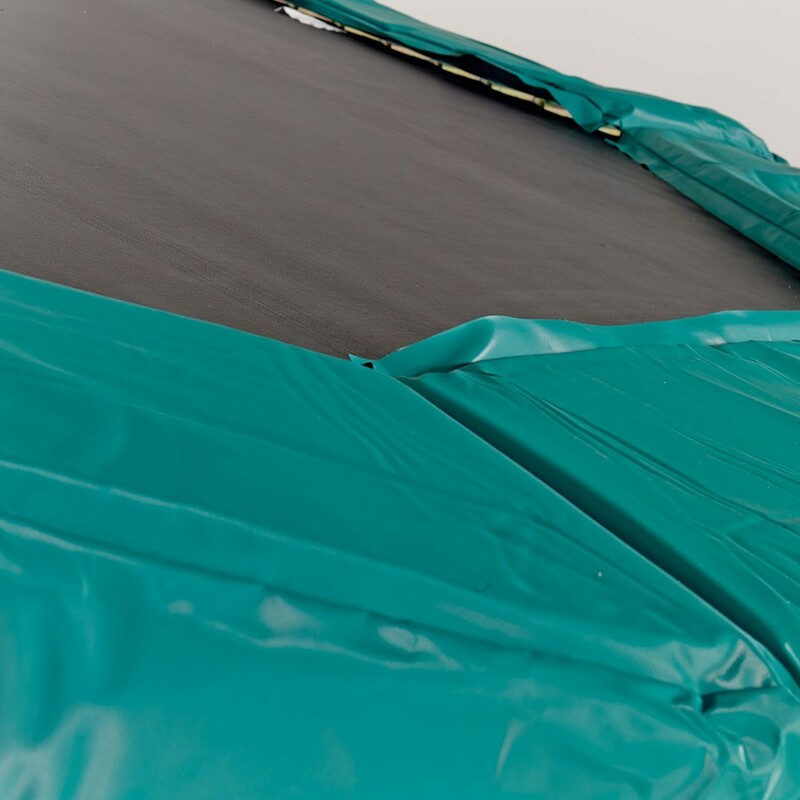 - Our frame pads are covered in a high density green PVC. 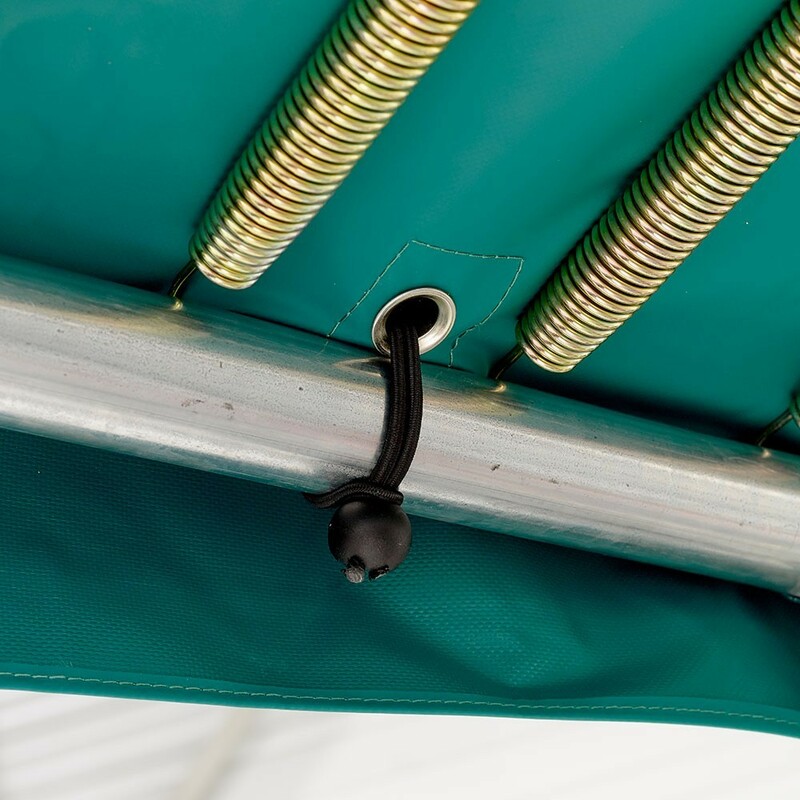 Heavy duty, thick and UV protected, this PVC cover makes our frame pad very long-lasting. 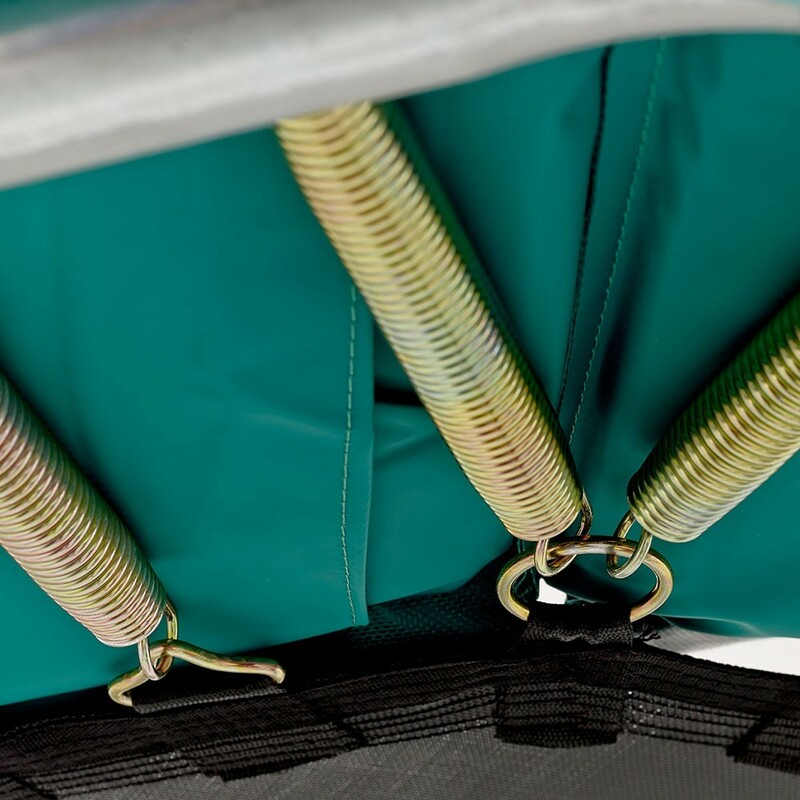 - Eyelets are placed under the frame pad and elastic straps hold the pad close to the springs, allowing a slight space so that the springs cannot rub against the pad. If the frame pad were to rub against the springs, the PVC would very quickly be damaged. 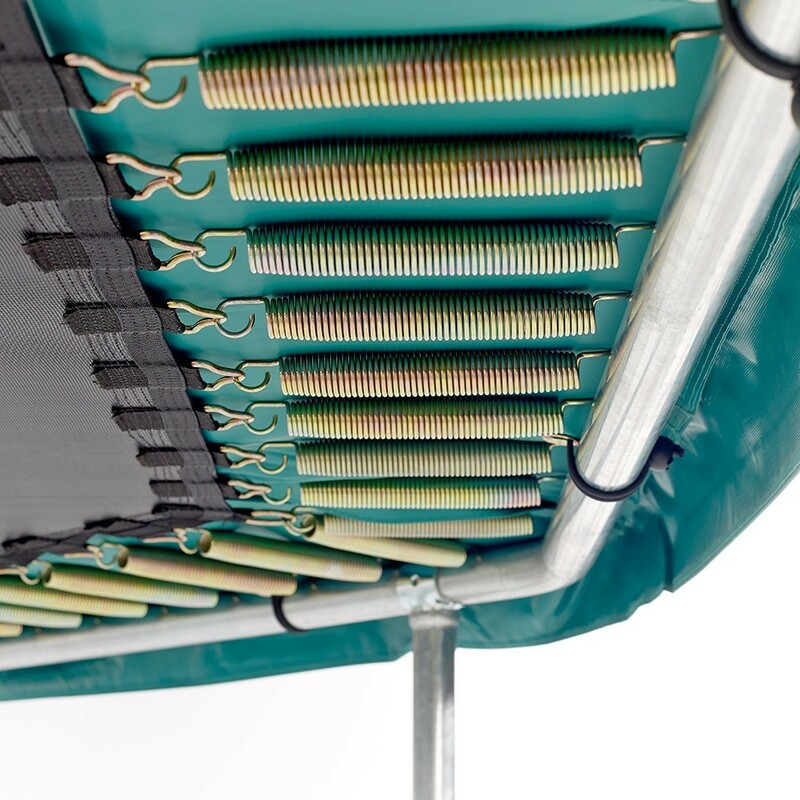 This frame pad for octagonal 3.60 m trampolines is delivered with 16 elastic straps.